Anthony Duclair, Lukas Sedlak and David Savard also scored for the Blue Jackets, and Bobrovsky — who had been benched for Thursday's game for violating a team policy and didn't play in Saturday's overtime win over Washington — wasn't terrific, but held off the Rangers after they pulled the goalie for a sixth skater late in the game. 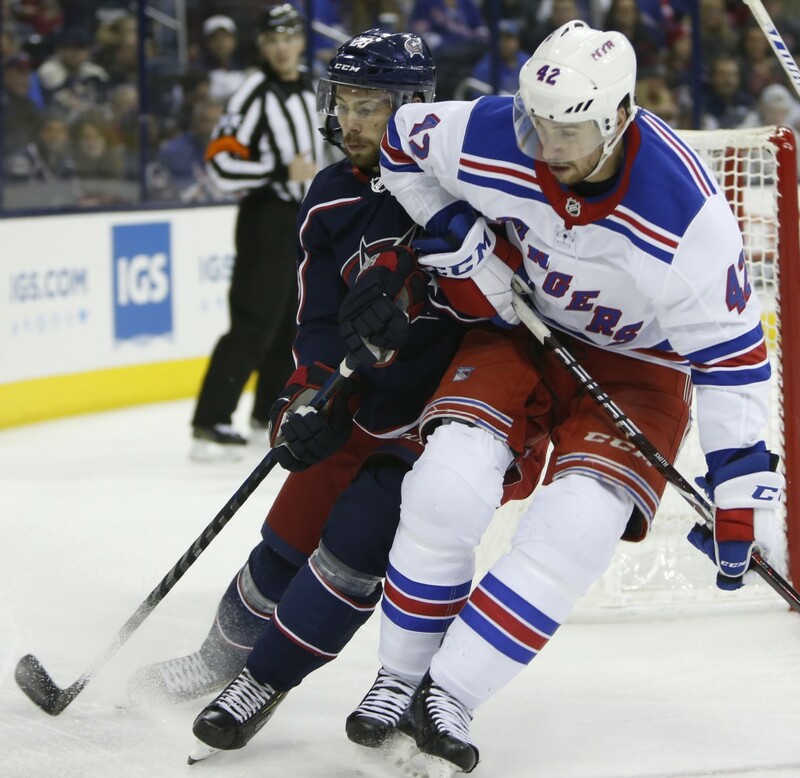 Zuccarello and Vesey scored to pull the Rangers within a goal, but Foligno's second goal with 1:26 left in the game gave Columbus some breathing room. NOTES: Columbus' 19 shots in the first were the most in a period for the team this season. ... Blue Jackets D Zach Werenski played in his 200th NHL game. ... Rick Nash, who was the first star of the Columbus franchise, did the ceremonial puck drop. The 34-year-old Nash retired because of concussion issues after 15 seasons. ... New York D Neal Pionk returned after missing a game with a lower-body injury.